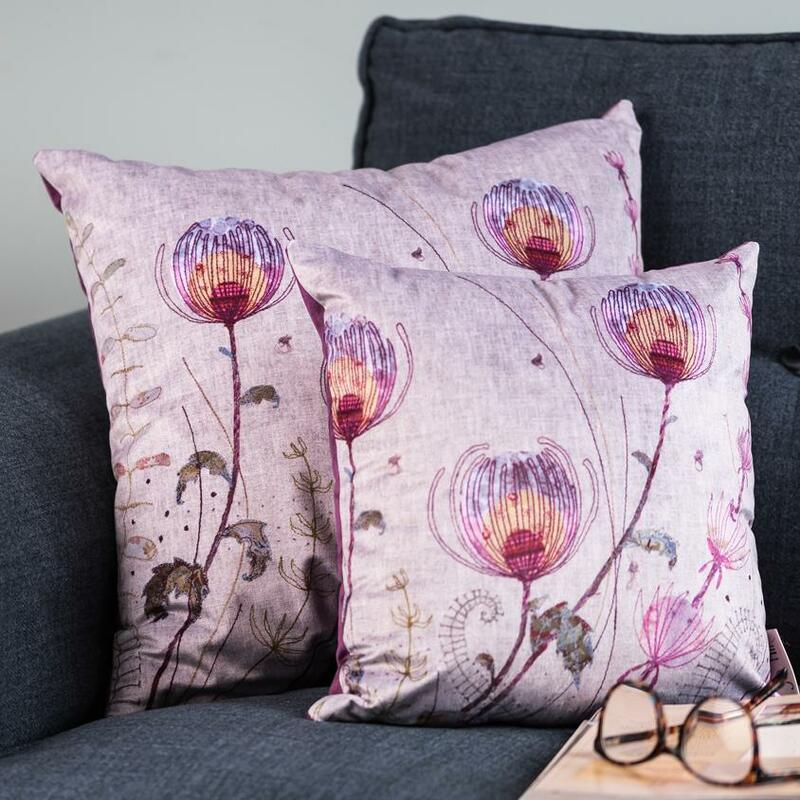 On this course you will spend the day in my home in the Staffordshire countryside creating your own textile piece featuring flowers, grasses and seed heads. This workshop is the perfect introduction to free motion embroidery and if you are a complete beginner I'd recommend doing this workshop first, and then progressing onto the other courses. Other ability levels are also welcome, of course! If you'd like to learn how I create my flowing florals and glorious grasses, this workshop is for you! You'll learn a variety of techniques to create your finished textile piece. There will be plenty of inspiration available for you - I have a library of design ideas all inspired by British wildlife, as well as my own unique hand-drawn designs. Free motion embroidery is an exciting technique where you are able to 'draw' with the sewing machine by lowering the feed dogs and moving the fabric around under the needle. It is also known as freehand sewing and thread painting. This is a technique that I have really refined over the years and I use it in all my textile pieces. I have a lot of experience in free-motion embroidery and you will learn how to use the sewing machine to its full potential - you'll be amazed at the results! You will spend the morning learning different techniques from my demonstrations, then putting them into practice. After lunch you will make your finished piece. See the photos for examples of lovely work from previous workshop participants, plus examples of flowers and grasses from my handmade collection. "I absolutely loved this course. Jo is a talented and imaginative artist. Her excellent tutoring meant that the instructions were clear and set at a good pace. She didn’t intrude but was always available to help. Would thoroughly recommend a course with Jo. " Please bring your sewing machine, packed lunch, general sewing kit, sharp scissors and an embroidery hoop. If you want to bring your own design ideas please do so. You will also need to have a sewing machine where the feed dogs can be lowered to enable free-motion stitching, as well as a darning/embroidery foot for your machine. Hot drinks and cake will be supplied throughout the day!